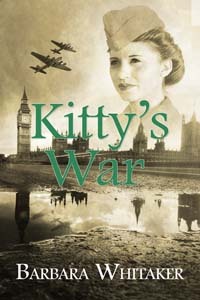 Veterans Day is the perfect time to read about the men and women who fought for our country during WWII, so…read my novel, Kitty’s War. If you’ve already read it, then write a review so that others will have the opportunity to read it, too. Find it on Amazon or on Barnes & Noble or on Books-a-million or on iTunes/ibooks or on Kobo or on The Wild Rose Press where you can purchase it in ebook format or in print. You can also post a review on Goodreads. Thanks for your support. Next Post Christmas 1943 – Where were they?